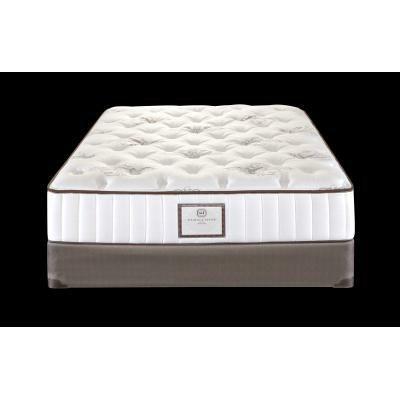 The Stearns and Foster "Royal Palm" Collection takes the sleep experience to new heights while maintaining eco friendly standards.Luxuriously designed using comfort layers that redefines sleep luxury. Includes coordinating foundation. Support Layers 1" Silk and Wool Blend. 1 1/2" Comfort Flawless Foam. 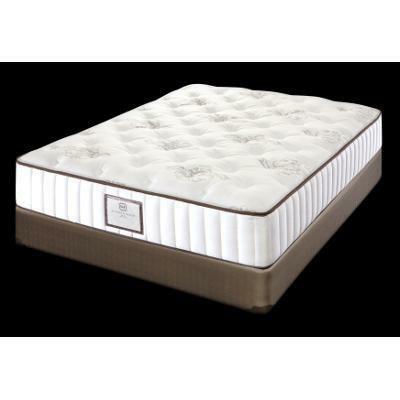 1/2" Comfort Flawless Foam. 1/2" Pressure Relief System with Latex Foam. 2" Soy Based Flawless Foam. 1" SuperSoft Flawless Foam. Miracle Mesh.